The study incorporated multiple issues deemed important for a robust understanding of the structure, conduct and performance of the tomato sector in Indonesia and, in particular, the tomato value chain in Malang, East Java. The study focused on the Malang district as it is the only AIP-PRISMA (PDF 344 KB) district where tomato is an important crop and therefore a possible vehicle for pro-poor impacts. The study identifies opportunities for pro-poor chain interventions. Development of a local market for grafted tomato seedlings for control of bacterial wilt. Improving packaging technologies and practices along the Kalimantan chain for a reduction in post-harvest losses. Anticipating future market scenarios for improved planting decisions. Development of protected vegetable cropping for increased farm profits. 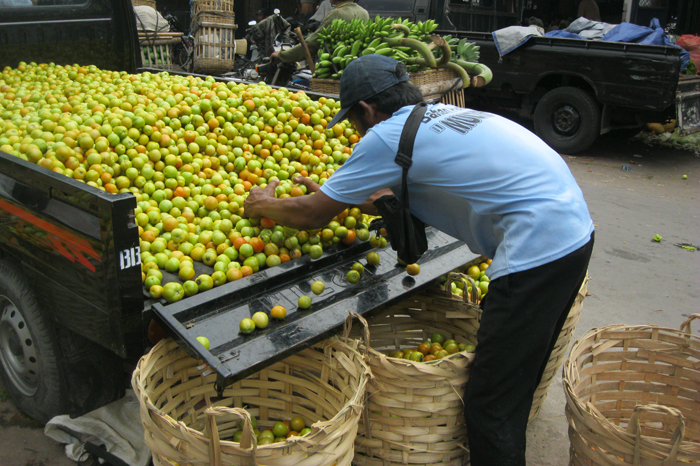 The report provides an analysis of Indonesia’s tomato sub-sector, looking at position in global production and trade, production and price patterns. It then focuses on the Malang tomato chain, exploring production systems and costs, on-farm labour use, chain actors and linkages, quality management systems, margins and problems and constraints. Opportunities for pro-poor chain innovation are identified, before the report concludes with some brief commentary of poverty, gender and environment/human health problems and constraints, and areas for future research. 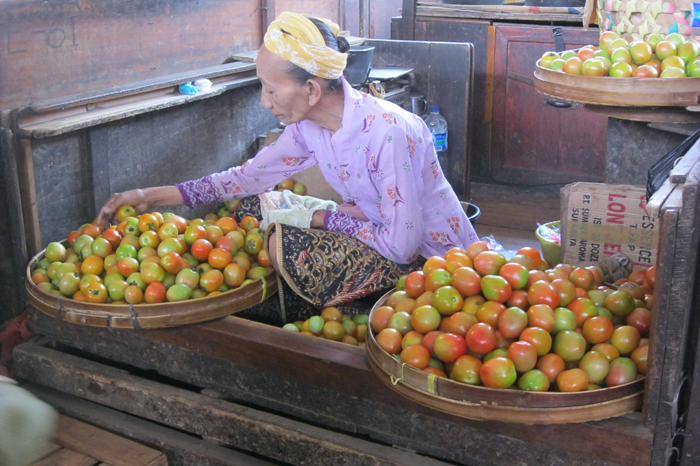 The executive summary provides brief commentary on Indonesia’s position in global production and trade, international tomato trade, and spatial patterns and domestic pricing trends. 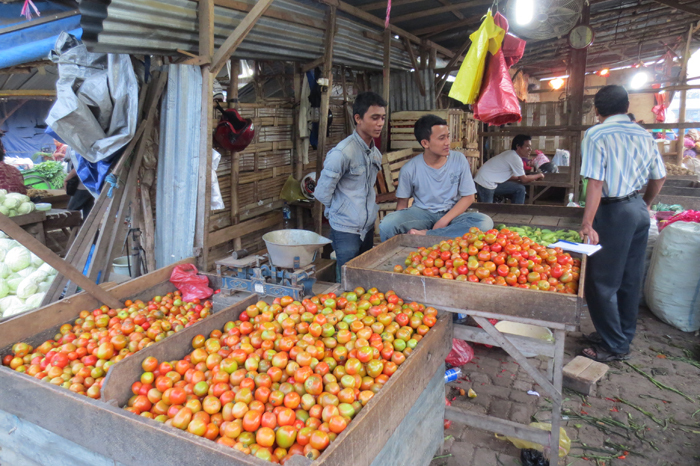 The majority of the report focuses on the Malang tomato chain components, and concludes with a concise overview of identified opportunities for pro-poor intervention and areas for future research. Tomato retailer at Krian market, Surabaya. These retailers sell to households. 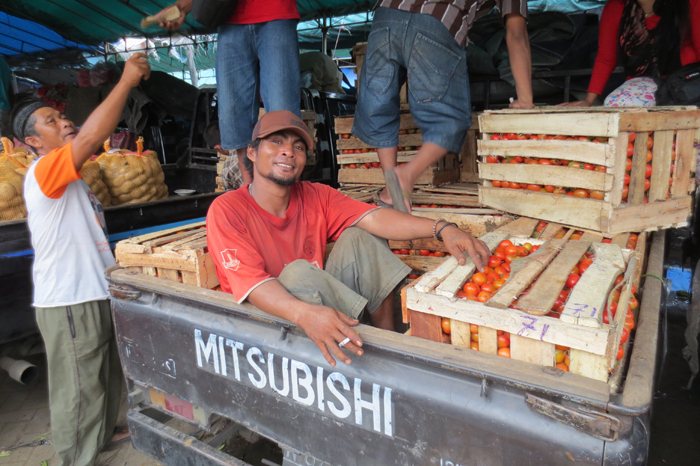 Tomatoes from Malang district are unloaded at Porong retail market, Surabaya. 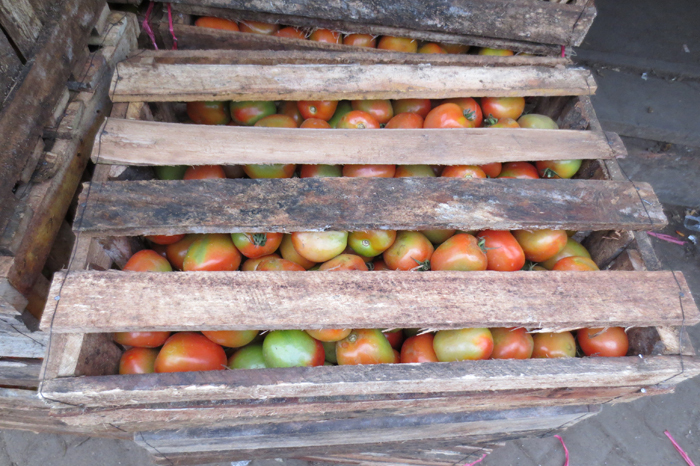 Boxes of tomatoes from Malang district, 25-30 kg each. Wonokromo market, which supplies smaller markets nearby. Tomato from Bandung, West Java. Unripe, sold at Pabean market, mainly for long distance trade.